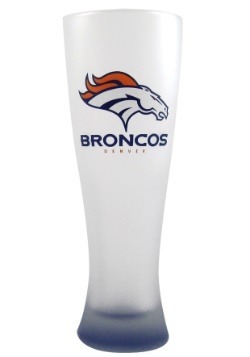 Are you ready to leave the cans behind next time you go to the big Broncos tailgate party? Yeah, we feel ya! Plenty of great beers come in cans, and plenty of mediocre ones do, too. And that's why we think it'd be a very wise idea to add a stop before you get to the stadium. You know, as in stop by the brewery for a growler fill up! You can bring your favorite craft beer straight from the tap when you bring a growler to the football festivities. And you can have a super snazzy way to fill up and tote it along when you get this Denver Broncos Growler Tote and Growler Set! 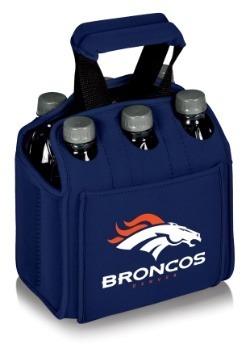 This is Denver Broncos Growler Tote and Stainless Steel Growler Set is NFL officially licensed from Picnic Time. The stainless steel growler holds 64 ounces, per standard growler size, and features a swing top lid. It easily slips into the canvas tote, which is insulated to keep your beer at the perfect temperature. 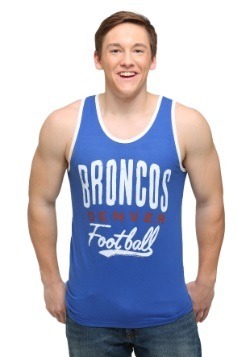 And it features a Bronocs logo on the front, so you can even display your team spirit! A great accessory for game day, you can also use this Broncos growler every day, or for at least as many days as you plan to stop by your local brewery! 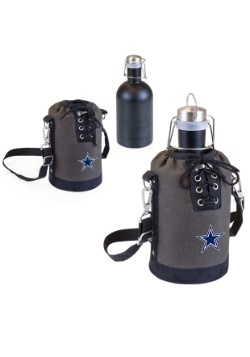 Be sure to check out all of our NFL accessories and merchandise to make sure you'll have everything you need for the football fun! Standard - $80.99 Only 8 left!